Percentage In World Market India is an important tea exporter, accounting for around 12-13% of world tea exports. Indian Tea Industry is about 172 years old. The industry occupies an important place and plays a very useful part in the national economy. In 1823 Robert Bruce invented tea plants growing wild in upper Brahmaputra Valley. The first Indian tea from Assam was sent to United Kingdom for Public Sale. Then later in it extended to other parts of country between 50's and 60's of the last century. Tea plantations are mainly located in rural hills and backward areas of Northern Eastern and Southern states. The major tea growing areas in India are concentrated in Assam, West Bengal, Tamilnadu and Kerala. The other areas growing tea to the extent is Karnataka, Tripura, Himachal Pradesh, Uttranchal, Arunachal Pradesh, Manipur, Sikkim, Nagaland, Meghalaya, Mizoram and Bihar. In India Tea is indigenous and is an area where the country can take a lot of pride. It is mainly due to its pre-eminence as a foreign exchange earner and its contributions to the country's GNP. India has emerged as world leader in all aspects of tea production, consumption and export mainly because it accounts for 31% of global production. For last 150 years perhaps the Tea Industry is the only one where India has retained its leadership over. The range of tea offered by India - from the original Orthodox to CTC and Green Tea, from the aroma and flavour of Darjeeling Tea to the strong Assam and Nilgiri Tea- remains unparalleled in the world. In India the Tea trading in done in two ways in the domestic market by way of Auction and Private Selling. Market Reports from the six major auction centres in India, namely, Calcutta, Guwahati, Siliguri, Cochin, Coonoor, Coimbatore where Bulk trading is done through the auctions held in these centres. Tea is one of the most refreshing and popular beverages around the world. India is one the the largest Tea producer with the finest quality in the world. The best quality Tea is CTC and Orthodox Assam Tea and the consumption is above 600 Million kgs per year. 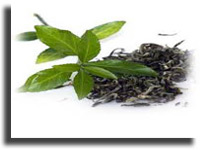 The market consists of both Leaf and Dust Teas both in the CTC and Orthodox Grades. The Indian Tea Industry has an important and special place in the Indian economy. Tea is India's primary beverage, with almost 85% of total households in the country consuming tea. India is the world's largest producer and consumer of tea, with India accounting for 27% of the world tea production. India's expenses on beverages and processed foods accounts for 8% of food expenditure in rural areas, and 15% in urban areas. India is an important tea exporter, accounting for around 12-13% of world tea exports. Further, certain varieties of tea (for example Darjeeling) are grown only in India and are in great demand across the world. All Darjeeling teas possess the lightness of flavour and fine colouring which make them unique and apart from all other teas. India's tea industry exports were estimated at Rs. 17.31 billion during 2006, accounting for 0.4% of India's exports. Indian Tea Industry is one of the largest in the world with over 13,000 gardens, and a total workforce of over two million people. Indian Tea Industry is a substantial foreign exchange earner and provides sizeable amount of revenue to the government. The Indian Tea Industry's total turnover is Rs9000 crore. Today Indian Tea Industry is having 1692 registered tea manufacturers, 2200 registered tea exporters, 5548 number of registered tea buyers and nine tea auction centers. All-India Tea production rose by 12.3% to 1.62 lakh tonnes during January-April 2010. The Southern states performed better than the Northern counterparts. The states of Tamil Nadu, Kerala and Karnataka recorded between 13-24% growths. 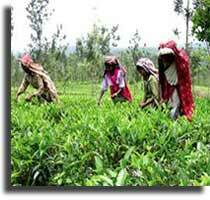 Production in Assam-the largest tea producing state in India, recorded a 9.6 % growth. India is the second largest producer of tea in the world with production at 979 million kg in 2009. According to the prediction of a normal monsoon forecast by the India meteorological department, the Tea Board had earlier said that production in 2010 could be around one billion kg. However, achievement of that target looks dicey. This is because Assam has witnessed excessive rains and pest attacks which have already impacted production in Assam. The export market for Indian Teas are mainly in the Russian and CIS countries with 90 Million kgs of the total exports going to these countries. This is equivalent to 43% of India's Tea exports. India exports Tea to most of the European Countries, U.S.A. Japan, West Asia and the Asia Pacific Region. In fact, there is hardly any country where Indian Tea is not found. In 2009 the Tea exports had declined by 6.2% but was expected to rise in 2010. Thus, the tight demand-supply situation in the global market and an increase in the domestic output will enable the Indian tea industry to see a partial recovery in its exports. Tea prices, which showed signs of easing are already moving northward. Tea prices in India have risen from Rs75.6 a kg in March 2010 to Rs.97.5 a kg in May 2010. However, prices were 16.2% lower than the year-ago level. There are a variety of jobs one can specialize in Indian Tea Industry. Tea tasting is one of the highly specialized areas of work. Research, plantation management, tea brokerage consultancy are some of the areas which can be specialized. One can work as a factory manager and it involves supervision of all plantation work right from planting, plucking, processing to packing and transport of tea to auction houses. Anyone with basic educational background can get into tea industry and pick up the skills required for the job. However, a degree in agricultural science or a B.Sc in botany, food sciences, horticulture or allied fields is preferred in today's world. The minimum qualification requiring admission in a training institute is class 10 or 10+2.These institutes teach tea production to processing, finance, and sales where tea tasting forms part of the curriculum.So, there is wide scope for careers in the tea industry, which caters to a lucrative market internationally with the UK and US being the chief importers. Though it is not a very well known career option but a job in this industry can be interesting and lucrative as well. Coonoor in Tamil Nadu is working on a strategic plan for an ambitious growth of its tea industry over the next seven years. The government has directed to submit by a strategic plan for the next phase of growth in the industry during the remaining 11th plan (2007-12) and the 12th plan (20012-17). In 2009 the global trends during the recession-hit period, the export performance of Indian teas was a mixed bag. Though in 2008 quantity declined by 14 million kg to 192 million kg from 203 million kg, the value was higher by Rs.224 crore due to better realisation per unit by Rs.19 per kg. Total value of exports was Rs.2, 617 crore as against Rs.2, 393 crore in 2008. 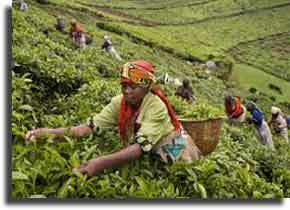 The Tea Industry is an agro based labour intensive industry. It provides direct employment to over 1 million persons. Through its forward and backward linkages another 10 million persons derive their livelihood from tea. In Northeast India alone, the tea industry employs around 900,000 persons on permanent rolls. The Tea Industry is one of the largest employers of women amongst organised industries in India. Women constitute nearly 51% of the total workforce. There is no gender bias with respect to employment benefits. The Plantations Labour Act allowed employment of children above 12 years of age prior to 1987. This provision has since been abolished. No child below the age of 14 is employed in the tea estates now. In fact, following a recommendation by the CCPA in 1995, tea estates have stopped employment of any person below the age of 15 years.